Hi all! 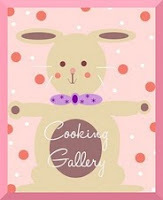 It has been awhile since I 'disappeared' from my blog. I couldn't manage to blog with so many things to do lately. But this week, I determine to get back to bento blogging. Probably because the Christmas is coming soon? Christmas spirit? I don't know ... But I missed blogging for sure. One thing that I can share now is that my husband and I finally decided to send our kids to an IB (International Baccalaureate) Program School next year. And the kids will take the test for 4 hours this Thursday. Our hope is to give our kids the best education, hope we don't make a mistake for choosing this school. Big A is slowing down with her school projects these 2 weeks but reviews and exercises for government examination are still going on almost every Monday-Friday at school and at home too. Meanwhile, Little A is focusing on some subjects that I thought that actually he could do better. I was stressed out last month, that was true! Am I pushing myself too hard and worrying too much for my kids? Probably ... but isn't that what all parents do? Two nice ladies, Dian and Karmenita interviewed me last week for their web soft lunch called Moms Guide Indonesia. We talked about bento and also about their vision for Moms Guide Indonesia. I believe that Moms Guide Indonesia will soon gain a lot of readers. Many moms in Indonesia can get a lot of informations there. Please take a peek and you can read our interview here (the web uses mostly Indonesian language). And then, some of you probably already knew Sinta from Cooking Gallery. She is one of talented bento makers. If you haven't read her blog then you should check her creative blog because she holds the bento contest to celebrate her 100th bento. I felt honored when she asked me to assist her to be one of the judges for her bento contest. I hope all of you can join the event. You can check the details here. Yay, I'm so glad to see you back blogging and bento making! I truly loved your Christmas bentos last year so I'm excited to see what you come with this year. Good luck to the kiddos on their exams!! Hi Lia, welcome back to the blogging world.. i guess you are busy with your kids studies too..
now i realised the kids studying in Jakarta is so tough huh? well, back in Malaysia.. i think we are a bit slack comparatively..
@Journal Mommy Yenny : Miss you too Yen! Sorry for the absence :) You should join the contest Yen. I'm sure it will be fun! 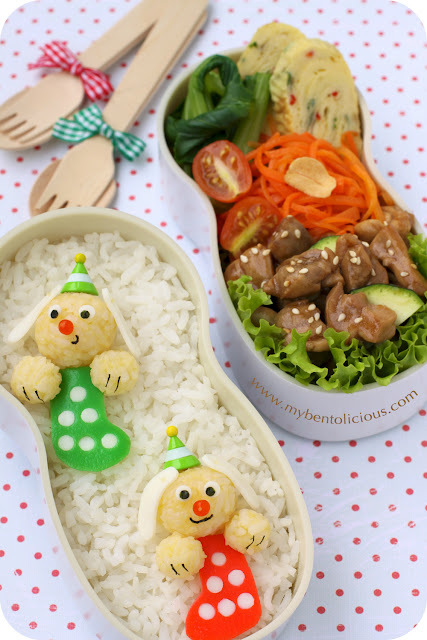 Hi Lia, it's good to see you back with your cute bento :). Thank you for mentioning the contest, greatly appreciated :)! Oh by the way, I have the same bento box as yours, but in pink, the Matrioshka one which I also bought from Bento&Co, I haven't had the chance to use it though, probably at the weekend :). Good luck to Big A, I'm sure she's going to do well, don't worry too much :)! Happy to read your post update. Congrats on the interview & being one of the judges for the bento contest! Also, glad to notice pretty & talented Lia with her lovely kids picture. Lastly, good luck to Big A on her exam & all the best! @Fang Fang : Thanks a lot Fang for everything!